Established in 1994 in St Ives Cornwall, our well-established indian restaurant Rajpoot provides the finest indian cuisine and lives up to the ancient ideals of striving for perfection and always doing the very best possible. 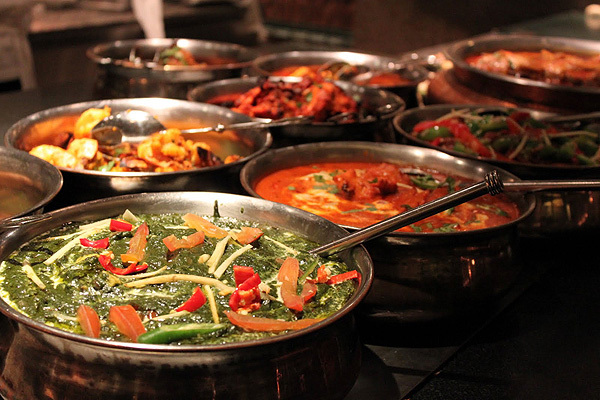 The professional team prides itself on providing excellent service and outstanding indian cuisine at all times. 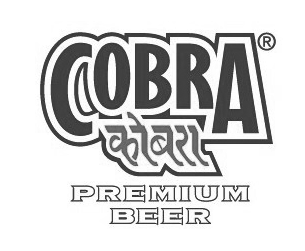 Recently voted by Cobra Beer as the best indian restaurant in Cornwall, Rajpoot in St Ives has a number of different menu options, and cater for couples, families and larger parties in our modern, well-appointed indian restaurant in St Ives. Since opening over 20 years ago, we’ve welcomed generations of families to dine with us. Rajpoot welcomes holiday bookings, so if you’re looking to enjoy an authentic indian restaurant experience in Cornwall, please get in touch. If you’re looking for hassle-free indian takeaway in Cornwall, place your order by phone or visiting us, then collect your freshly-prepared indian meal from our professional and friendly team at Rajpoot in St Ives. A night in with our food is sure to be heart-warming. Rajpoot are able to accommodate large groups or parties. If you would like to host your party at Rajpoot, please get in contact for more details. To find out more about our indian restaurant in Cornwall, and to get exclusive deals and offer, follow us on Facebook here. Our welcoming brand of Eastern hospitality will ensure your visit to our indian restaurant in Cornwall is a joy, as is the food prepared with skill by our expert chefs. We pride ourselves for innovative home style indian cuisine in Cornwall, and our aim is to provide genuine Indian food in St Ives Cornwall, as well as increasingly popular Asian cuisine. All dishes are prepared at our St Ives indian restaurant with the freshest, most authentic ingredients for a truly memorable dining experience. Rajpoot is the gateway to the real flavour of the East, rich in aroma and spice, diverse in colour and texture. The authenticity in our preparation and artistic blend of spices lend a unique flavour to make true of the original curry and reflect the choice represented by the chefs working at our indian restaurant in the heart of Cornwall. Customers return time after time from all parts of the country to experience our unique and exciting dishes from India and Bangladesh, cooked using centuries old tradition which have been passed down from generation to generation. Our menu offers the finest choice of meat, vegetable and vegan dishes. 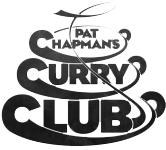 As members of the Good Curry Guide, our indian restaurant in St Ives is keen on gaining customer feedback, so please feel free to tell a member of our staff how we can improve our service to make your visit even more enjoyable in the future. At Rajpoot we know that our most important ingredient is our customers and we cherish your views, comments and custom. Wishing you an enjoyable experience with us. You are welcome to bring your own alcohol. Please do not bring any soft drinks. BYO charges: 50p per Bottle/Can for recycling and the supply of a glass. Please Note: Last orders for delivery: 9:30 Please allow 45 minutes to 1 hour for delivery maybe longer during busy periods. Delivery service will not be available during the weekends of Easter, Whitsun and New Year Bank holidays, New Year’s Day, the six weeks of summer holidays, a few days during Easter holidays, and one week in Whitsun holidays. Driver must have access to drive up to the delivery address for all delivery orders placed with our indian restaurant in St Ives, Cornwall. Based in the heart of St Ives, our indian restaurant is located within a five-minute walk from St Ives Train and Bus stations, 40 yards from a taxi rank and just a two-minute walk to the nearest car park. 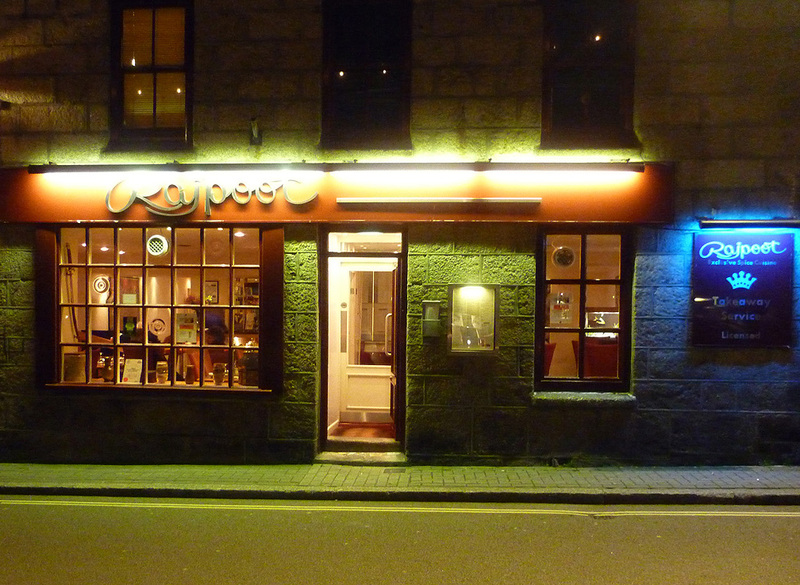 Rajpoot is just a few doors down from the cinema, a five-minute walk from the award-winning Barbara Hepworth Museum and fantastic St Austell brewery pubs.